Re-keying a lock is the process of change the internal working of a lock for use with a new key. This is allow for the continued use of the hardware already in use and use of a new key therefore the old one will not work. Some people might ask isn’t it better to replace the entire lock? Well, not really. At least not for most situations. If the hardware looks and function properly, there is no need to change the entire lock. Maybe the existing hardware style and design is perfect. If that is the case, then there is no need to replace the entire lock. Just have the locks re-keyed. Re-keying locks is a good choice when there is a potential security issue by making sure the old key does not work anymore. If you need your residential locks re-keyed contact Amboy Locksmith or visit one of our local stores. 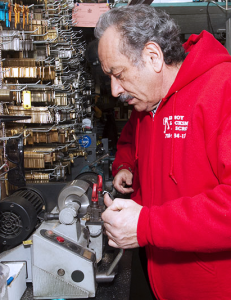 We have been serving Staten Island with more than 40 years of professional experience.